Alps Park near Matsumoto is a great place to take in a Hanami celebration party. 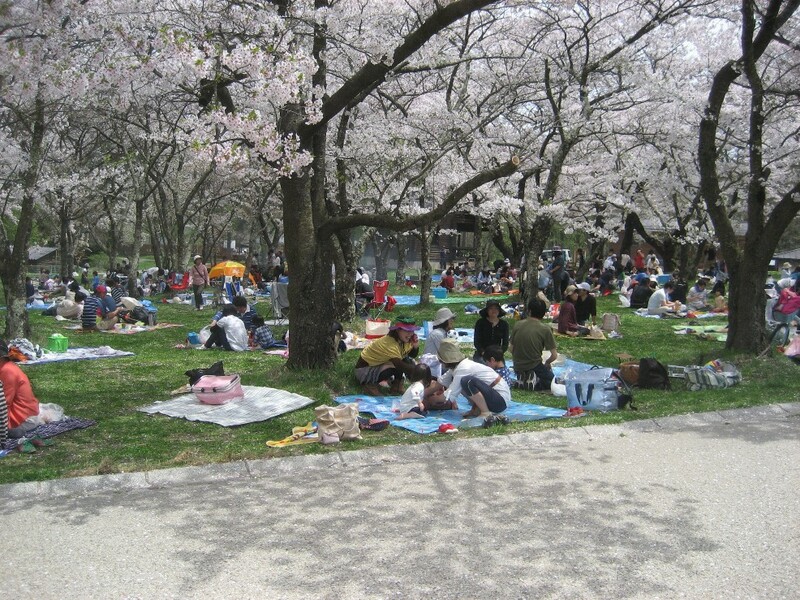 Hanami is an annual celebration that has been enjoyed by the Japanese people for centuries. Literally it means “flower viewing” and it transports itself all over the country from Okinawa in February up to Hokkaido towards the end of May. It signifies the start of the rice planting season in Japan. In Hakuba it signifies the end of the snow season as well. At this time of year the trees are in full bloom throughout the valley and you will see people sitting under them enjoying the sprinkling of petals with every tiny breeze. A Hanami party is a great way to finish off the winter season and all you need is some good friends, a blanket, a few bottles of sake and plenty of food. Most people have heard about the Cherry Blossoms in Japan and they really are an amazing site to see. The good thing is that because it starts down south well before the end of the snow season it is easy to put the 2 together into your trip to Japan. This entry was posted in Hakuba, Japan and tagged cherry blossom, cherry blossoms, cherry blossoms in japan, Hanami, japan festivals, japanese flowers. Bookmark the permalink.